I am been really impressed with the amazing comments by you all, my lovely readers, recently. I love the fact that you know my style and often send me links to stores, artists or designers I might like. Even better? Every tip is awesome! So, I thought I would start a new series composed completely of your recommendations. I am calling it 'Per Your Suggestion'. After reading my post about the Etsy store sprinthread, the lovely Kathryn sent me a link to the store stone&honey. Absolute jewelry lust immediately ensued. She sent me right to these beautiful gold pendants that feature different permutations of 'pinwheels' and 'honeycombs.' 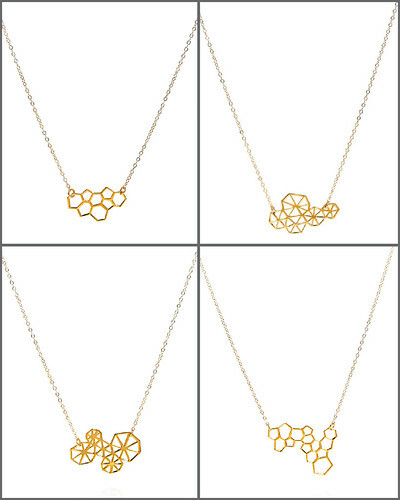 There are many versions of these delicate necklaces, each changing the number or orientation of the pinwheels or honeycombs, and for $65 they seem like a steal. A week or two ago the sweet Karen Oleary wrote me an email suggesting I might like her shop. 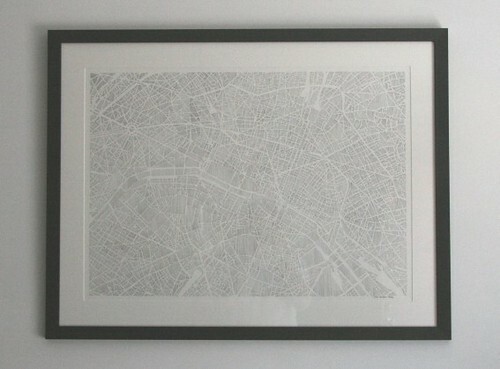 Clearly, she has noted my undying love of maps. 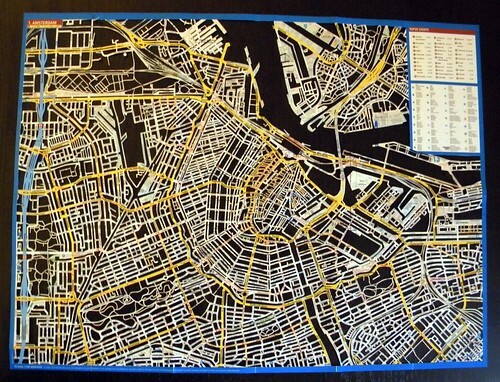 Her Etsy shop, studiokmo, is chock full of beautiful map creations: city maps made totally from thousands of tiny parallel lines (or "hatching" if you are in the art biz) or from endless cut-outs, leaving only the brightly colored streets behind. 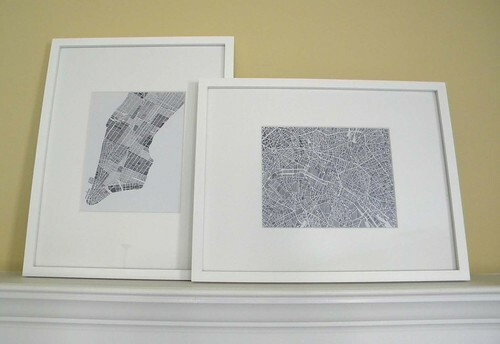 The prices span a wide range, depending on the amount of labor involved, but I can assure you that her prices reflect a quality and artistry that makes every piece unique and beautiful. Thank you for all your suggestions! Keep them coming! Aw, yay! I'm so glad you liked them! I will definitely send other things your way as I find them.... miss you!